This is your chance to own a beautiful 10 +- acre homesite located near Publix and several other shops and restaurants. The property has 330" frontage on Rock Springs road. 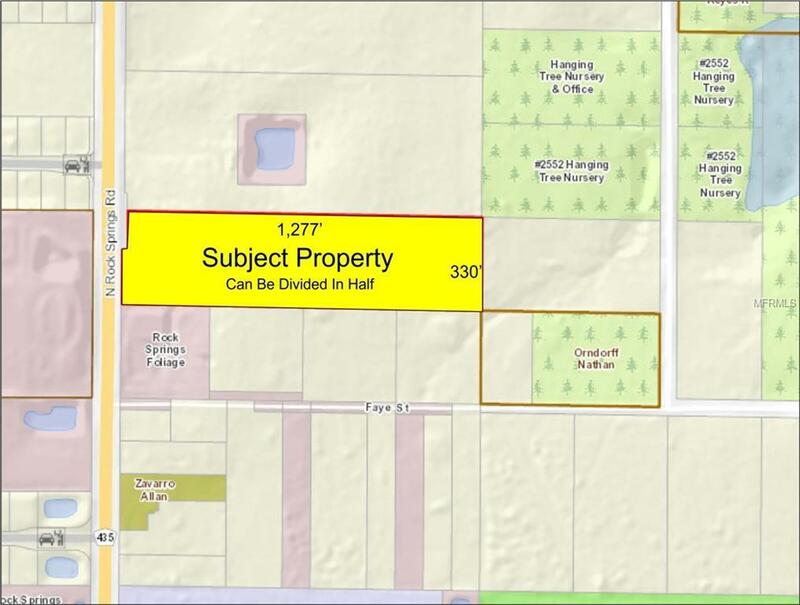 The parcel is zoned A-2 and is located within the wekiva basin area. The parcel can be split into two / 5+- acre lots. Water, Sewer and reclaimed water is available.